This is chapter #3 of the drop shipping quick start guide. To go to the list of chapters click here! In this chapter, you will learn about dropship wholesalers , or suppliers. some businesses refer to it as wholesale distributors. Before starting your search, it’s important to know how to distinguish between real dropship wholesalers and retailers posing as wholesale distributors. As mentioned in the previous chapter, a true wholesaler buys directly from the manufacturer and often gives better and more competitive pricing. Real wholesalers don’t charge monthly fees for their business services. If a supplier asks for a membership or service fee, it’s likely not lawful. Note that there is a big difference between suppliers and supplier directories. Supplier directories are directories of wholesale suppliers organized by items or niche markets, and screened to guarantee that the suppliers are legitimate. Most directories will charge a one-time or annual fee, so this does not mean the directory is illegitimate. We’ll show you some recommended directories later on in this post. In order to get real wholesale pricing, you have to apply for a wholesale account, prove you’re a legitimate business, and be approved even before placing the first order. Any drop shipping company that sells directly to the public is always a retailer offering products at inflated prices. Many dropshipping wholesalers charge a per-order drop shipping fee that may range from $2 to $5 depending on the size of the product. This is legitimate because the cost of packing and shipping an individual order is much higher than dealing with orders in bulk. Some dropship wholesalers set a minimum initial order size, which is the lowest amount you have to buy for your first order. They do this to filter out any unprofitable or unsuccessful drop shipping businesses. On the other hand, this could cause trouble for you as a drop shipper. For example, what do you do if a supplier has a $1,000 minimum order, but your average order size is about $100? You don’t want to pre-order $900 of extra items just to open an account. The best solution here is to pay your supplier $1,000 in advance as credit to apply against your future drop shipping orders. This allows you to meet the wholesaler’s minimum purchase requirement, and will help you drop ship on the safe side. Many eCommerce entrepreneurs ask about whether or not to pay for a supplier directory. A supplier directory is a database of suppliers that’s categorized by market, niche, or product. Many directories use some type of screening process to ensure that the suppliers listed are legitimate wholesalers. They often ask for a small fee in exchange for access to their directory. If you don’t have much time and are willing to spend some money on a supplier directory, it can be a helpful tool to quickly search for a large number of suppliers in one location. They are also great for brainstorming ideas for products to sell or markets to enter. The best important part of joining a directory is you will be working on the safe side. Here, I am going to show you the best and most recommended two supplier directories that you can benefit from. Worldwide Brands is one of the oldest and most well-known directories. They work hard to ensure legitimate and quality wholesalers. SaleHoo lists more than 8,000 suppliers, and seems to cater heavily to merchants on eBay and Amazon. You can call the manufacturer and ask for a list of its wholesale distributors. You can then contact these distributors to see if they drop ship products or not. Of course, you can also investigate other important detail like account opening, minimum order, and more. Make your search extensive: Wholesalers are generally not very good at marketing themselves, and they’re absolutely not going to rank at the top of any search engine for keywords like for example: “wholesale suppliers for item X”. This means you should look through many search results to find what you’re looking for. You may have to dig through tens or even hundreds of pages to find the best wholesalers to fit your business. This also means that you should use a wide variety of keywords, such as “distributor”, “reseller”, “bulk”, “warehouse”, “supplier”, etc. A bad website design does not always mean a bad wholesaler: Many dropship wholesalers have poor website designs. A high-quality website may indicate an excellent supplier, but this isn’t a must, so don’t let a poor design drift you away from good suppliers. Find a competitor you think is drop shipping. Place a small order with that competitor. Once your order arrives, search for the return address online. In some cases, it will be a supplier who you can contact and do business with. Trade shows and eCommerce summits allow you to connect with major manufacturers and wholesalers in your niche market. They all gather in one place, making it easier for you to browse and discover. If you have the time and money to attend, then it will surely be a great experience to help grow your business. What are the requirements to open new account with you? Do you have drop shipping business service? Do you ask for a per order drop shipping fee? Or minimum order amounts? What carriers do you ship with? (UPS / FedEx / UPS, or others). Do you add any shipping charges other than what is charged by the carrier? What are the daily pick-up times for each carrier from your warehouse? When does an order need to be placed to ship the same day? Do you drop ship to certain country, city or state? Do you assign customers a single sales representative? How long does it take to receive an invoice and tracking number for an order? Do you allow orders by forwarding emails to you? Can I place and/or edit orders via your website? Do you accept credit cards, and which types? What are other payment ways you have? 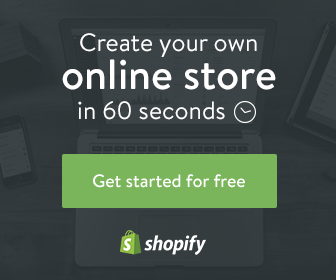 Do you have a live product and/or inventory feed on your website? Do you charge a re-stocking fee? Do you pay shipping charges to substitute defective items received by customers? How long have most of your sales representatives been in the industry? Do you operate any retail businesses in addition to your wholesale business? Can you provide a few existing customers who regularly order from you I could call as a reference? What are the approximate margins for x products? What are your best selling brands? What are some of your best selling products in different categories? You need to be legal: As stated earlier, most legitimate wholesalers will need evidence that you’re a legal seller before even allowing you to open an account. Most wholesalers will only disclose their pricing to approved customers, so you’ll need to be legitimately incorporated before you’ll get to see the type of pricing you’ll receive. It’s best to make sure that you’re legally incorporated before even contacting a supplier. Note that you can easily contact suppliers for general questions or information, like to ask if they drop ship or if they have certain items, without the need to provide legal documentation. Still, don’t expect to start without having your business correctly set up. We’ll dedicate a detailed separated chapter later in this drop shipping guide to talking more about setting up your business. Learn how to deal with wholesalers: Wholesalers do not enjoy people who waste their time, especially those who try to ask too many questions, take up a lot of time, and ultimately don’t order anything. If you’re starting a new business, be aware that many suppliers aren’t going to leave their work to help you get started. You have to be ready and responsible for your business. If you want to make special requests (such as persuading a supplier to drop ship certain items that they usually don’t), you must first build credibility. Be definitive about your business plans (e.g., “We are launching our website on March 1, 2015” instead of “We are thinking of launching a business soon”) and try to show them any business success you may have had in the past. These are both good signs and will heighten the chances of your request being accepted. Don’t be afraid of the phone: Many people are afraid of calling suppliers by phone. Do not let this stand as an obstacle! In some cases, you may communicate by email, but you might eventually need to call in order to clear up any issues. The good news is that it’s not as scary as you might think. Suppliers are always friendly and ready to help, even if you are a newbie entrepreneur. Furthermore, writing out your questions ahead of time will make the call as smooth and simple as a cup of tea. In the drop shipping business, the supplier is an important player, so it’s vital to make sure you’re working with the best. Expert staff and industry focus: Professional suppliers tend to have knowledgeable customer support teams and sales representatives who really understand the industry and its products. Imagine how successful your business will be when working with such an experienced team! Invest in technology: A supplier that invests a lot in technology is usually great to work with. Advanced features like comprehensive online catalogs, real time inventory, customizable data feeds, online order search and filter tools, and others tools for online merchants are sure to help in facilitating your drop shipping business operations. Can take order via email:Imagine how much time you’d waste if you had to place every order by phone! Email ordering makes the selling process easier and more efficient. Centrally located: In big countries like the US, it’s useful to use a centrally located drop shipper so that almost all orders will be delivered within two to three business days. When a supplier is located, for example, on one of the coasts, it can take 5 days or more for packages to be sent across the country. Centrally located suppliers allow you to advertise faster delivery times, and as a result, you save time and money, get higher customer satisfaction, and win more new customers. How fast was the product sent out? How fast is their tracking system? What is the quality of their packing? A huge majority of suppliers will accept payment via one of two methods: credit card or net terms. When you’re just starting out, many suppliers will ask you to pay by credit card, which works out well because paying with credit cards is one of the best options. Besides its convenience, you can gather a lot of reward points and gifts. Since you’re buying items for a customer who has already paid for it, you can easily rack up a high volume of purchases on your credit card without having to incur any actual out-of-pocket expenses. The other popular method to pay suppliers is called “net terms” on your invoice. This means that you have a certain number of days to pay the supplier for the products you’ve bought. So, if you’re on “net 20” terms, you have 20 days from the date of buying to pay your supplier by check or bank draw for the product. A supplier may ask for credit references and other documentation before offering you net payment. Don’t be afraid if they do; it is simply a safety measure. PayPal is a very popular form of electronic payment, and some suppliers may offer you the ability to pay with it. Unfortunately, I cannot provide you with a list of suppliers that allow PayPal as a means of payment. the best way is to ask your preferred supplier if supports Paypal or not. 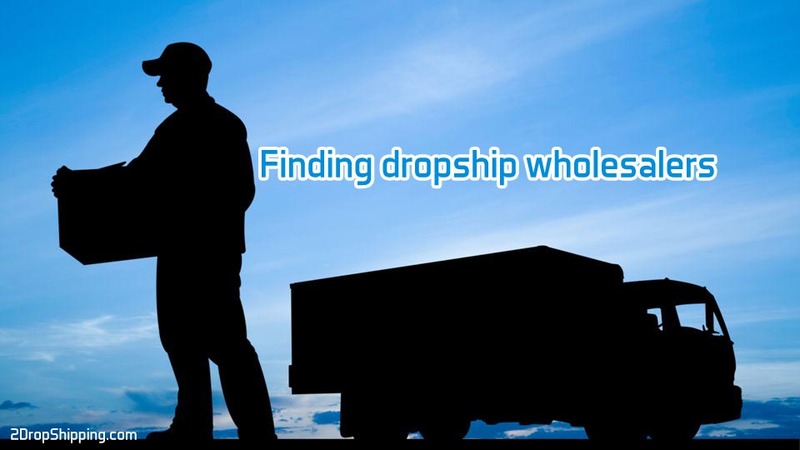 Finally, if you know more ways to find good dropship wholesalers, please comment below. And don’t forget to like and follow us on Facebook and Twitter! In this chapter you will learn about dropship wholesalers or suppliers but before looking for dropship wholesalers, it's important to know how to distinguish between dropship wholesalers and retailers posing as wholesale suppliers.